There's a myth roaming around town that over 80% of car repair services that are done in a shop can actually be done in a driveway. But is it really a myth? For those who have used Fiix before, you probably already know this is not a myth, but let's shed some light for those who still don't believe us or haven't used Fiix before. You're hearing screeching or grinding sounds coming from your brakes and you know you need to get your brake pads and rotors replaced. But you don't want to spend 30 minutes driving to the repair shop, waiting there for 3 hours, and then driving all the way home. All a Fiix technician needs in order to perform this service at your home is a car floor jack, jack stands, sockets, wrenches, cleaning supplies, a code reader, an impact gun, and the new brake pads and rotors. This service usually takes around 1.5 hours to complete for the front wheels and 1.5 hours to complete for the rear wheels. Advantage: 3+ hours saved, full transparency, the ability to relax at home and do whatever you'd like. You're not sure exactly what's going on with your car... You just know that something is not right or that you're hearing a weird sound. You need a car inspection but don't want to pay for a tow or drive a potentially dangerous vehicle to the shop. All a Fiix technician needs in order to perform this service at your home is their complete set of tools, diagnostic scanners, and his expertise. This service usually takes maximum 1 hour to complete. It involves the technician assessing the surroundings of the vehicle, test driving the vehicle to get a better understanding, and testing the components of the vehicle in order to identify the root cause of the issue. Advantage: Complete transparency, ability to ask the mechanic any questions you'd like, a professional and accurate assessment, and the ability to avoid a tow to the repair shop. Your car won't start, your battery is brand new and working fine, and you know that your alternator or starter motor need to be replaced. But you dread ordering that tow, and wish someone could replace it in your driveway as soon as possible so you can get your car up and running again. All a Fiix technician needs in order to perform this service at your home are their sockets, wrenches, floor jacks, jack stands, impact gun, and the replacement alternator and/or starter motor. The time it normally takes to complete either of these services ranges from as short as 1 hour to as long as 4 hours. It varies based on the car and where the car manufacturer has placed the component. Advantages: Avoid paying for a tow, ability to have your car up and running within the same day, full transparency, no need to wait in a repair shop for an entire day. Your life is busy, tune ups and oil changes are annoying, and you just want someone to take care of this chore for you without you needing to put in any effort. All a Fiix technician needs in order to perform this service at your home is their complete tool set and the respective replacement parts. This service usually ranges from as short as 1 hour to as long as 3 hours. It depends on how many items are needed to be replaced based on your vehicle's maintenance schedule. Advantages: Save 3+ hours, no more chores, ability to relax at home, no effort needed. 2 times a year, just before winter and after winter, you need to switch your tires from all-season tires to winter tires and vice-versa. But it's so annoying to have to lift your 4 tires, squeeze and put them in your car, drive to the service centre, have them changed, drive the swapped tires back home, and put them back in your garage. Next thing you know, your entire morning is lost and you're tired. All a Fiix technician needs in order to perform this service at your home is their sockets, wrenches, impact gun, floor jack, and jack stands. This service usually ranges from as short as 30 mins to as long as 1 hour. Advantages: No sweat broken, 3+ hours saved, ability to relax at home, fully transparency. Driving at night is hard — you have to watch out for obstacles and maintain a good sense of direction with rather poor visibility. 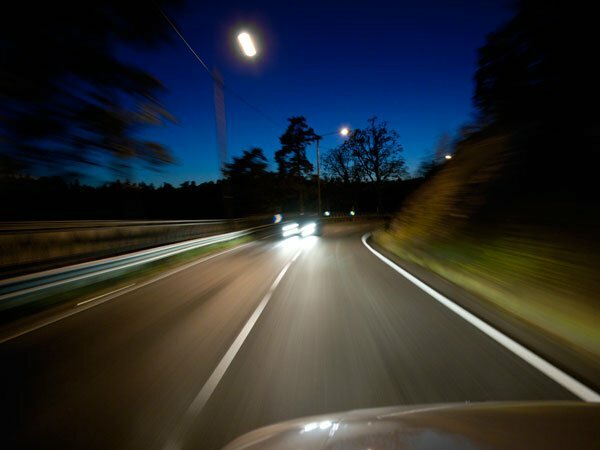 Here are a few tips to help ensure your safety and comfort when driving at night.